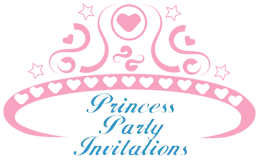 The Princess Party is one of the most popular kids parties ever. Treat your little princess and her friends to a fun princess birthday party with a majestic celebration and remember to include invitations, decorations, games, activities, party food, beverages, party cake, party snacks, gift bag favors, costumes and gifts. Contact Deb or Missy at 515-576-2202 to reserve our private party room for your Princess Party. Room for up to 49 members of your Princess' royal court. Open for private dinner parties and gatherings upon request.